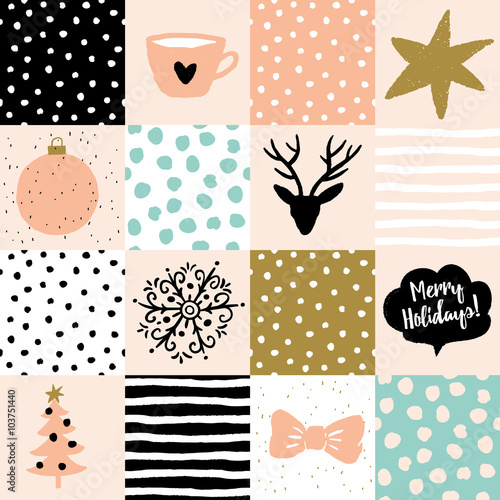 Christmas patchwork illustration. Vector seamless pattern. Snow, deer, star, tree and message Merry Holidays. Blush pink, gold, black, white and light green colors.